Lifetime warranty on electronics and LED’s. Wireless radio control and LED lights make this a simple choice. This 12 volt system uses a radio control directly from the truck's 7 way connector, with no additional wiring required. It recharges from the truck's electrical system. It's light weight & Super durable. 4 large round LED displays and 3 small LED displays. Super bright LED lights can be seen even the worst weather conditions. This unit has a low power consumption and can last for up to 100,000 operating hours. 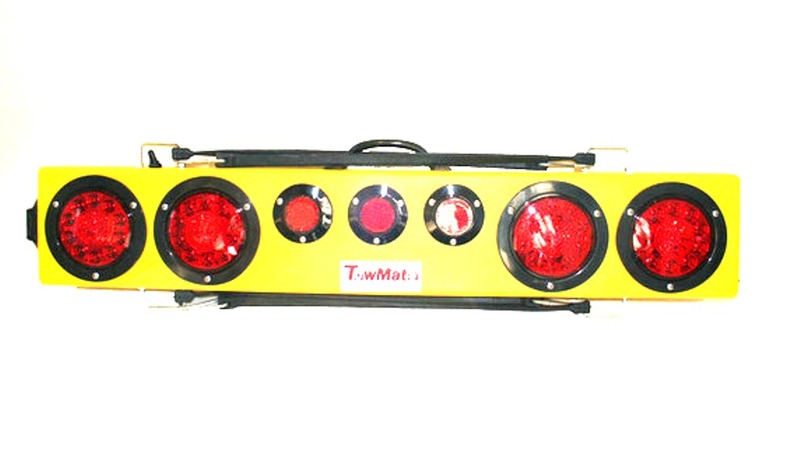 Stop, turn, tail and marker lights are standard on this unit. Rubber tie-downs, remote control unit and instruction manual included. To Recharge your truck bar use the empty 7-pin Connector provided with your system. The Center pin is the 12V+ pin For RECHARGE and the Top silver pin is the chassis GROUND. Be sure to Find a full time power source even when the ignition is off on the vehicle. IT IS VERY IMPORTANT TO PLACE A 10 AMP FUSE ON THE 12V+WIRE…Our Competitor doesn't tell you about this requirement & has no idea how to wire it in! Call us we can help you every step along the way! 36" wireless truck bar with built in strobes. 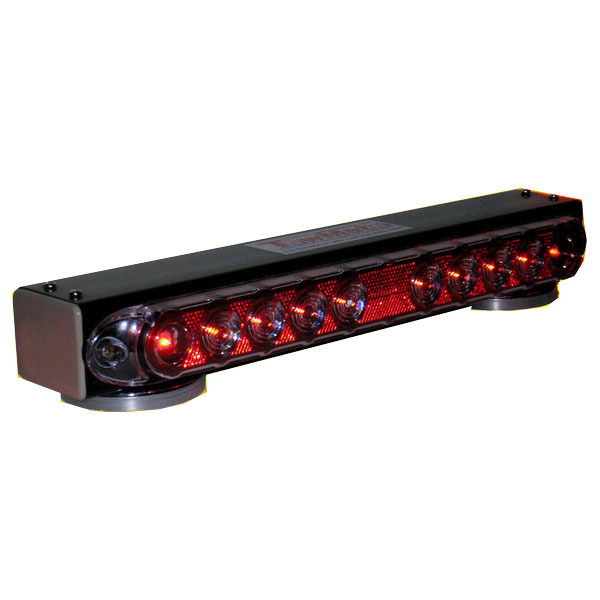 Provides stop, tail, and turn signals with end marker lights for maximum visibility. 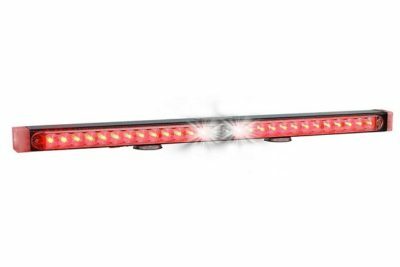 This bar also features two 4.5" amber high-intensity LED strobes that can be activated with the flip of a switch on the unit. Charges off 12V DC. Lifetime warranty on electronics and LED's. Uses two 6V7AH batteries. Range 1000 feet. 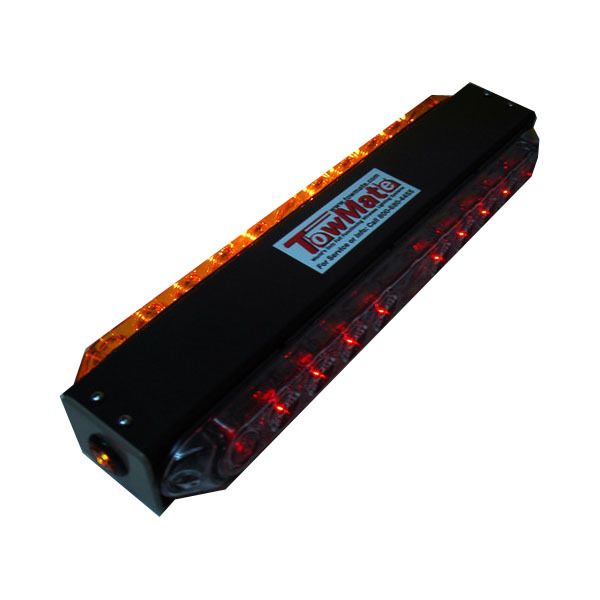 Tow Mate SP21 Solar wireless tow light bar 21" Wireless Magnetic Taillight System Provides Stop, Tail, and Turn in a compact low profile single unit. This system features a solar panel for powering the battery!